Great piece on the challenge that HP's corporate design boss Sam Lucente has met. We've been lucky enough to spend rewarding time talking to Sam this year and it's great to see his work recognised. Posted by Mark. Jonathon Porritt on the findings the promoting cycling could save serious money (health-wise, congestion-wise etc) but can we go a bit further, think a bit more 'out there' on this subject? This isn't just about building some new cycle lanes... By Joe. We've seen this before, but making hydrogen through water is nonethless something that's really quite interesting. Almost as good as nuclear fusion in terms of helping us energy/power wise? Having sat quietly (in public) on the Airbus A380 and Boeing 787 debate for a long time, British Airways has finally committed to $8 billion worth of new large airliners. It's ordered 12 A380s and 24 787s. Financially this is clearly a very big deal but its significance goes much further. The biggest news here is the A380 decision. Though BA finally became an Airbus customer in the late 80s, it's never before flown any wide body Airbus, famously ignoring (much to the irritation of the French, Germans and British Aerospace) the original A300 and then the A330 and A340 which went on to replace and extend Airbus's large and long haul product line. Airbus selling some more A380s is fantastic news for the manufacturer, particularly as they will take over the role currently played by the most in-demand portion of BA's 747-400 fleet. BA has 57 of these, the largest 747-400 fleet in the world. The subtext here is that BA has chosen to go with A380s rather than Boeing's 747-8, a significant redesign of the 40 year old product that turned long haul travel from an exclusive to a mass exercise. Likely to enter service in 2009, the updated jumbo would have been a safe and quite reasonable decision for BA, and an evolution of its fleet. It now seems less likely (though not impossible) that British Airways will order more 747s, a plane it first introduced into service in its early form in 1971. 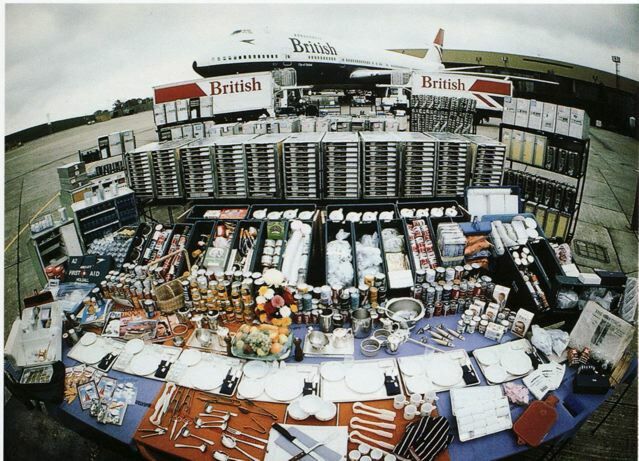 BA's long haul fleet has been dominated by the Boeing 747 for decades. This was early 80s BA. Vol au vent and a babycham anyone? What we're finally seeing is endorsement of both manufacturers' arguments. Boeing has promoted the 787 by insisting that in future more flights will go long haul point to point - so from slightly smaller airports to either hubs or slightly smaller airports. Airbus has argued that congestion means bigger planes will be needed to fly between big hubs. It's been obvious for some time that the reality is a combination of the two trends. For those interested in a bit of historical trivia, the deal represents a significant shift towards Airbus for the airline. In the days when Children Were Seen But Not Heard and National Airlines Bought Home-Grown Planes, the airline (and its forerunners BEA and BOAC) spent years trying to persuade the British government to let it buy American aircraft. Instead of getting its preferred Boeing 737s and 727s in the late sixties, it was forced to buy underpowered BAC One Elevens and the wonderful, but inefficient and underpowered Trident 3 (the airline's pilots use to joke the Trident only took off due to the curvature of the earth). It won out in 1978, buying 737s and became a launch airline for the 757 in '79, which replaced the Trident rather in the manner that a shotgun might replace a catapult. By the 70s there weren't any British long haul airliners on sale, so a policy of mainly Boeing (from BOAC) plus Lockheed (from BEA) saw the fleet dominated by American hardware, and despite repeated attempts to sell the Airbus A300, via both patriotic guilt and economic arguments, it never happened. It was only in 1987, when the airline bought British Caledonian, that it accidentally became an Airbus customer, inheriting that airline's launch order for the Airbus A320, which of course was quite the moderne thing to pick up at the time. Since then BA's A320 (and smaller A319 and larger A321) have gradually grown as a fleet to become BA's dominant short haul aircraft, with about 70 flying. Meanwhile 737 and 757 fleets have shrunk dramatically. The 757 is out of production (though quite a handy thing to have around because it has very flexible economics, being good at very short or very long sectors I believe). The 737 is being phased out of the fleet, probably in 2008. The point here is that Airbus is on the ascendent in both the long and short haul BA fleets, with Boeing seeming to have no chance of grabbing any small airliner sales and the large and long haul fleet being a Boeing and Airbus mix for the first time ever. One chance for Boeing might be to sell the 787-3, an intriguing short haul (but large) airliner prospect that Boeing has to date only sold to the Japanese. It's not clear today whether the deal includes any such variant, though it's unlikely given the announcement talking of the long-haul fleet. This product is Boeing's real game-changer and ironically picks up where the original Airbus A300 left off. The thinking in the late 60s and early 70s was that basic economics would mean we would increasingly fly relatively short distances in much larger aircraft - perhaps holding two or three hundred people. This happened for a bit, but over time the low cost revolution has led to lots more flights, all in relatively small A320s or 737s. The situation is most obvious in the United States. It was common in the 70s to fly New York to Los Angeles in a 747, but nowadays you'll probably find yourself in a JetBlue A320. Boeing argues that shifting back to bigger planes makes sense. It makes economic sense, it makes environmental sense and it tackles congestion. I think Boeing's right, but it might be ahead of the airlines here - and buying big planes is harder than buying small, especially in a credit crunch. 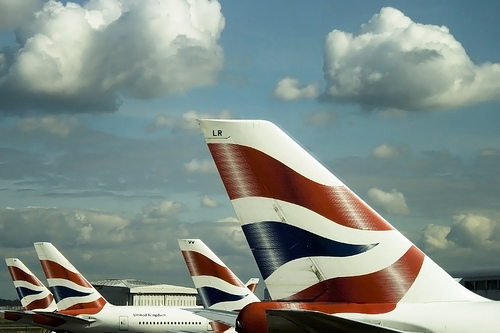 BA's new fleet will take some time to arrive, one of the downsides of sitting on the fence for so long while blaming the cabin crew. And there may be other moves to come, as this order only replaces 34 planes in a fleet of over 120 large jets. In the meantime, we can continue to feel its 747s get ever more elderly. Its first entered service 18 years ago. Posted by Mark Charmer. Anyone wanting to read up on the aircraft manufacturer battle over the years should read John Newhouse's great book, Boeing Versus Airbus. Graziano Freschi's book on the BAC Three-Eleven, though badly structured, is a fascinating insight into the politics behind the development of the Airbus consortium, and the shift in European airliner leadership from the old 1960s UK centres of expertise to France and Germany, making Airbus what it is today. Facebook: The $10 Billion Social Network? It wouldn't be out of place to say my life changed the day I met Paola Antonelli on a St Martins visit to her office in Brooklyn in May 2003. FastCompany features her this month and she's still as refreshing as ever. Posted by (certified groupie) Mark. Mercedes - back on top and teaming up with Tesla? Eons ago, Mercedes-Benz (Daimler) made the best cars in the world. The most solidly built, dependable cars in the world wore the three pointed star, which is why even recently, if one fell of a plane or train in Stuttgart, it was more than likely that you’d drop into the back seat of a W124 taxi from 1988, which had 400,000km on the clock. 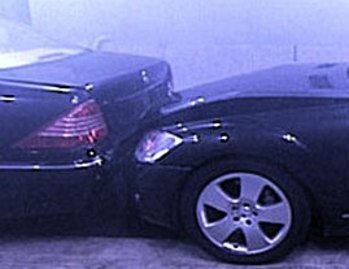 Mercedes cars have always been technologically ahead too - they were the first to feature Airbags, ABS and brake-by-wire systems. But in the late 90s the wheels started to come off. The company got ambitious - it bought Chrysler, which distracted it and gobbled money. More disastrously, it started to load its cars with advanced, complex electronic systems which, done at the same time as a mission to cut costs meant only one thing - quality went down the pan. By the mid-'noughties', Mercedes had in many quarters gained a reputation for build and reliability that didn't befit the brand - and the cars bombed in customer satisfaction indexes. But the signs are that Mercedes is back doing what it's always done best. With Chrysler finally gone, a new generation of models, such as the new C-class, have been put through the most advanced development process the company has ever conducted - and the quality once again seems high. But it is the innovation and engineering that is of greatest interest. While Mercedes has been producing statements of intent such as the visually challenging F700 concept seen at Frankfurt, and has been at the head of research into hydrogen fuel cells, its predominant market large sedans, sports cars and SUVs means it is a likely 'loser' under the proposed rules on CO2 to be imposed by the EU in 2012. But it seems the company might have other ideas. According to the German wirtschaftswoche, (German only) Mercedes are looking strongly at teaming up with Tesla Motors to build a series hybrid, that will use Lithium-ion batteries and, presumably, be able to run purely on electric power - in the manner of the Chevy Volt / Opel Flextreme proposed by GM. But what really makes this announcement a big deal if it's true, is that it will give Mercedes a jump on the much trumpeted next generation hybrid cars from GM and Toyota - who both have their series hybrids slated for introduction in 2010/11. 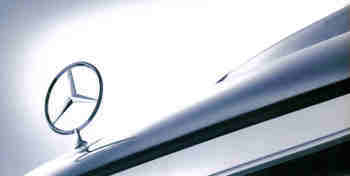 According to Thomas Weber, Head of group research and Mercedes car group development, the company hopes to have the car in production by 2009, and as if to casually hint that the Germans are still the best in the world at engineering, he also doesn't think that the batteries will pose the same technological issues so well trumpeted by GM. "Weber thinks the lithium ion battery is a key technology, but also one of the most challenging technical topics there is. A big challenge is the energy density in the batteries. But Weber doesn’t expect any safety issues for the system that Mercedes is developing in cooperation with Continental and the US battery producer A123..."
All of which means that things might be about to take a rather exciting twist in the race to produce real-world electric cars which have a range extending generator (which is what these serial-hybrids really are). It is an interesting development for Mercedes - who until now seem to have been betting the house on the hydrogen fuel cell. The fact that they’re suddenly very serious about electric cars suggests the technology really is there and ready - everyone else should sit up and take note. It also indicates that Tesla's future fortune might not rest in producing their own cars (which they seem keen to suggest), but in the proprietary value of their technology, the Tesla Energy Storage (ESS) System - which they've already sold to Th!nk. With one of Tesla's potential futures being that it might be available for sale to one of the established auto players at the right price, what chance Mercedes buying Tesla? One thing's for sure, with quality, innovation and technology back at the top of the agenda in Stuttgart, let this be a warning to the rest of the sector, that the new Chrysler-free Daimler is back and doing what it does best: the bar is about to be raised. Posted by Joseph Simpson on 24th September 2007 - with a seriously big helping hand from Florian Seidl who flagged up the original article in wirtschaftswoche and sorted the translation from German to English. Easyjet is getting really serious about this, a distinct statement of intent. Will Ryanair follow suit?! Zipcar review - the car of the future? I rented my fourth Zipcar last week so I thought it was about time I shared my views on the service. At a basic level, ZipCar is car rental without the office, the line of people, the paperwork and the deliberately confusing pricing nonsense that means a $29 car usually costs about $50 unless you want to take on the burden of the entire General Motors pensions debt. Best of all, it provides a crystal ball gaze into the likely future of movement services, which could well evolve over the coming years based on new technologies that know where you are, where vehicles you want to use are and has ways of authenticating you to do so. We call this the digitization of movement. "We are committed to improving the quality of urban life. Zipcar's service gives city dwellers freedom to use a car to run simple errands like picking up groceries and buying home supplies, to get out of town for a weekend adventure, to visit friends and family or to travel for business." I'm not going to go into the history and tariffs as all that is documented well elsewhere. All I'll say is they started up in 2000, and claim to have 3,000 vehicles in 23 cities in three countries - the US, Canada and the UK. You can rent a Zipcar in the UK from £4.95 per hour (or £45 per day) for a Toyota Yaris, up to £7.50 per hour for a BMW 318. So a reasonable start, but a tiny drop in the ocean of rental cars. And the cars are all interesting - £5.95 an hour (£55 per day) will get you a MINI Cooper or you can try a Civic Hybrid for the same price. There are practical options like Toyota Versos, too, for lugging lots of stuff about. In San Francisco I've driven a Ford Mustang and, twice, a Volvo S40, perhaps the perfect drive on the Bay Area's nasty bumpy freeways. For people like me (and especially Joe, who is, as you may know, a car obsessive), ZipCar's biggest attraction is that you can choose exactly what car to rent. I hate renting bad cars - I almost bribed a man in Ibiza recently to loan me a Fiat Panda rather than a Kia Piccanto. So Zipcar is like giving me a big box of chocolates. 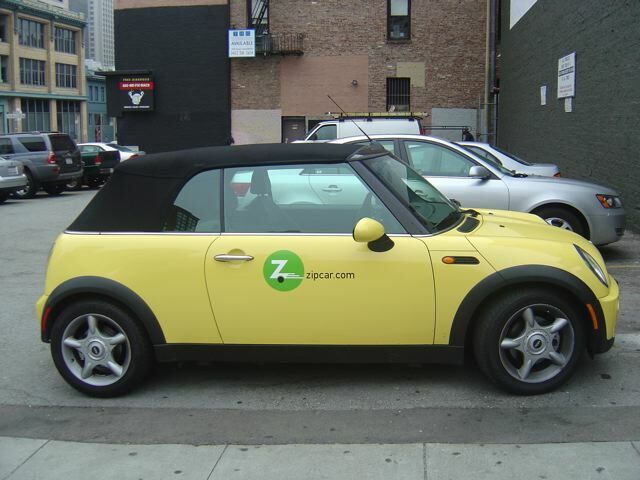 "Zipcar is like giving me a big box of chocolates... you can choose exactly what car to rent." So how do the basics work? Well the first issue is you have to get set up to use the service, so they can send you a Zip card. But it only takes a few minutes and the card literally becomes your key to any vehicle you rent, anywhere in the world. It's a plastic credit card, similar to (for London viewers) an Oyster Card. You walk up to the car you have reserved, place the card over a receiver at the top of the windscreen and the doors pop open. The car key itself is tethered to the dashboard, and I'm assured the car won't move without being opened by the Zipcard, so thieves can't zip off, so to speak The best bit is I registered in London (where a nice lady called me and did a three way call with the UK DVLA authority to check my driving record) and bingo, card arrived next day in post and I can now use it to unlock cars in Kensington, Greenwich Village or the Mission district in San Francisco. That's impressively global systems integration. If another friend is a Zipcar member, they can even drive the car you have rented, provided you are with them. You don't pay for fuel with a Zipcar. Instead, you fill up and show the garage attendant a special fuel charge card. This works great. An upside for drivers, and questionable one for the environment, is that you can drive hell for leather and not worry about fuel economy. This might seem a retrograde step but frankly the cars are all pretty efficient so ragging the backside off a MINI (or Prius) isn't exactly going to start toppling extra glaciers into the sea. I must admit to a secret desire to rent a Prius and then see how fast I can go. The test of a truly efficient car is, after all, the ability to gain momentum and then use it, as anyone who has passed a Peugeot 205 driven by a psychotic French farmer will attest. Every Zipcar has a home parking space, which stays empty (and remains available for your free use) when you're renting the car. The company has been smart about deciding where to locate vehicles. You can't rent a Zipcar at the airport - wisely, because that's a market sewn up between too many existing companies. Instead, cars are located in urban areas where parking is often at a premium and people live and work. In London, Zipcars are scattered around areas such as Chelsea and Kensington, notoriously iffy places for public transport, with a high density of well off people and a shortage of residents' parking. They've clearly really thought it through. In San Francisco, I've been able to choose from lots of locations inside the city. While ZipCar's rates seem relatively high for more than a few hours, they do include fuel and - in London - the congestion charge, which immediately saves £8 ($16) per day. You reserve by the hour using a very intuitive interface. Unless it's a full day rental, you can cancel up to a couple of hours before hand, and extend your rental period online or on the phone while you are using the car, unless it is booked immediately afterwards. A problem with ZipCar is the reliance on people being courteous. Cars are not given a once-over between rentals, so you are asked to keep the car clean, fill it back up with fuel and report any damage. This is all fine in practice but probably a bit naive in reality. I can't help thinking that a more social rating type system needs to be employed underneath, perhaps with greater transparency about who has rented the car, to encourage people to behave courteously. 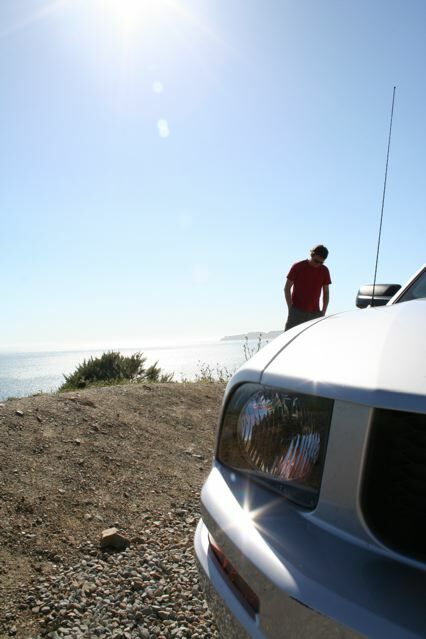 Still, in my experience I only had a problem with a Mustang which lacked its drivers manual and had a small dent. 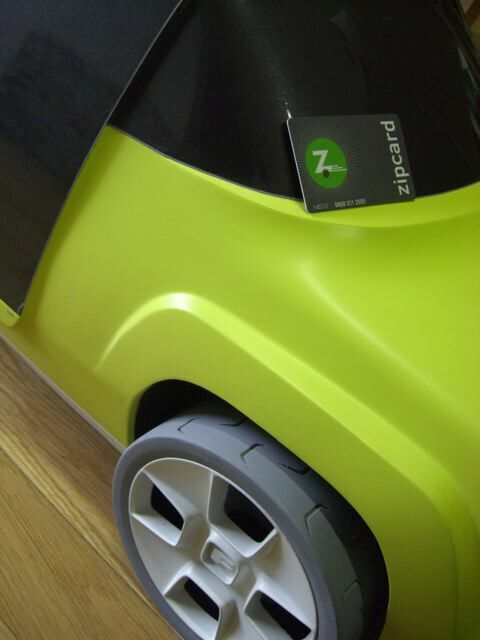 "The Zipcard literally becomes your key to any vehicle you rent, anywhere in the world." Which brings me to the other weakness. 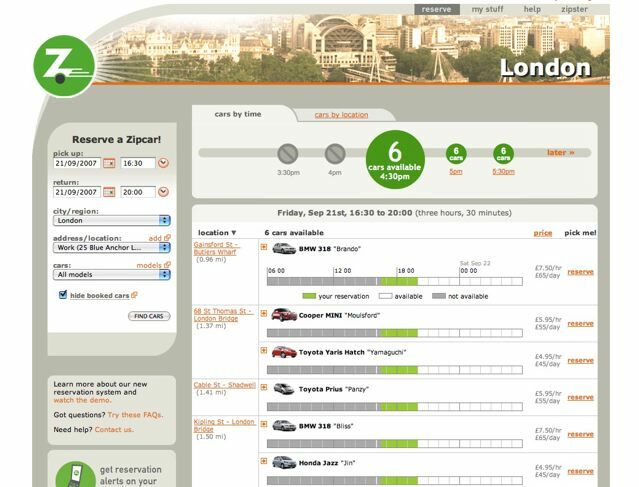 Unlike London-based Streetcar, which has an interface on the console that allows you to communicate to StreetCar base, Zipcar gives you a number to call or asks you to extend bookings online. This would be fine in London, but when I am in the US, calling a tollfree number from my roaming rip off T-Mobile phone is akin to me throwing dollar bills out of the car window. What next? The company is keen to rent parking locations, which is a nice way for people to make money out of a space they may have, while providing themselves with an on-the-doorstep car they can rent. As proven by StreetCar in London, it can appeal to property developers, too, who can get planning permission with less parking spaces, provided a car share is included. An obvious development would be to consider letting people put their own cars into a Zipcar-style system. While this might sound strange, it would allow car owners to make money out of their cars when they aren't using them and help tackle the problem that our cities are largely filled with vast numbers of parked vehicles, adding no value apart from filling valuable space that would otherwise be pathways along which people could move. Zipcar's system provides most of the basics, although it might be that cars are loaned between members of social networks, such as Facebook. That would help promote the more community-minded, look-after-it-won't-you, mindset that Zipcar is after. Car rental has never been so fun. Personally I've developed an obsession with Zipcar Volvo S40s. Minis look nice in San Francisco but you'll lose your teeth on the freeway. Another downside to Zipcar is that you can't benefit from parking in other Zipcar spaces around a city, which may have been vacated by someone renting a vehicle. A better system of utilising that space would be interesting, and perhaps an expansion of the current system, which operates on an A to A method (you have to return the car to where you picked it up) expanded so that renters had the option to rent at A and return to B – as some newly proposed hourly car rental schemes are offering. Another obvious step is to integrate other kinds of vehicles into the Zipcar system. Conventional bicycles, electrically-assisted bikes and Segways are some good examples. This would turn Zipcar into something more akin to an integrated transport service. Certainly this would make for a very practical mix in London, where parking in many areas is now extremely expensive (more, in fact, than the price of an hour's car rental). Of course the great question for those of us working on the next generation of mobility services is does Zipcar make any money. I hear through sources that while the service is growing at a fair clip, profits might not be part of the current package. Oh how much easier life would be if companies like this found a way to share some of their core business model and performance data, so new sectors such as this could settle on a pattern that works, and expand more quickly. 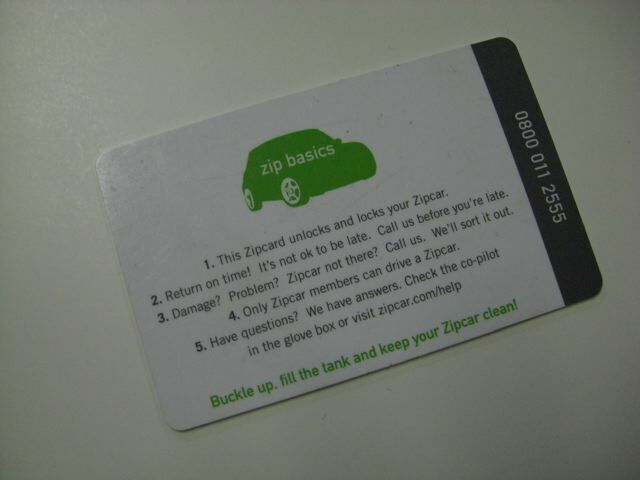 And the ultimate step for Zipcar? Well I'd start renting Tesla roadsters next year, certainly on the US east and west coasts. Imagine - everyone who wants to try a Tesla can rent one by the hour. Tesla gets its cars into lots more hands, while the drivers pay for the privilege. And each car has a high performance charging station at its parking space. Mark Charmer is director of The Movement Design Bureau.